In my last post, I shared about my love affair with my sourdough starter. 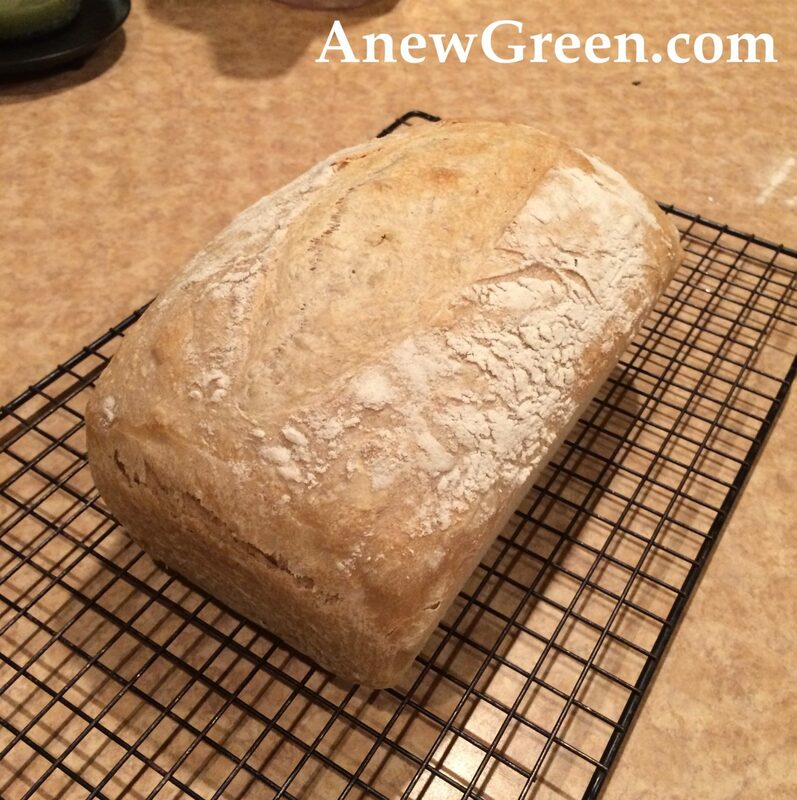 My initial goal in the beginning was to make bread. As it so happens, there’s a whole lot more that you can do with a sourdough starter than simply make bread — and so far, everything I’ve made with the starter tastes better than other recipes I’ve made with commercial yeast. Here are five of my favorite recipes. These cinnamon rolls from Our Potluck Family are the perfect breakfast treat for any time of day. The dough requires time to rise but I’ve found that it’s simple to make them before bed and leave them somewhere to rise overnight. In the morning, they are ready to place in the oven and they make the house smell amazing as everyone wakes up. Also, the cream cheese frosting with a little bit of lemon is pretty incredible. King Arthur Flour has a ton of great recipes for your starter. One of my favorites is this waffle recipe. This particular recipe requires a bit of advance planning but is well worth the wait. Create your sponge at night which consists of starter, sugar, flour, and buttermilk. In the morning, add the other ingredients and it’s time for waffles! I’ve had many attempts at pizza dough using commercial yeast and have told myself that it’s good, but typically end up eating the bulk of the pizza while the rest of the family doesn’t. This pizza dough recipe from Food.com has changed all of that. It doesn’t have to rise so you can actually prepare the dough an hour or so before you need to make the pizza. Homemade pizza is truly a family activity in our house. We all gather in the kitchen and add our desired toppings. We’ve found that our kids are a lot more engaged in eating foods they helped make. Who doesn’t love fresh biscuits? This biscuit recipe from Food.com is incredibly easy. Like the pizza dough, it’s more about the sourdough flavor and the dough doesn’t need any time to rise. These are rich and flaky and great with jam, honey, or slathered in sausage gravy. As an added bonus, here’s a great sausage gravy recipe from Food Network. The flours should equal 500 grams but you can adjust the balance of the two to your preference. I think the higher content of whole wheat flour makes the bread more sour. Combine all of the ingredients, and then every 30 minutes or so, stretch the dough. After doing that five or so times, cover and let it sit overnight. The next morning, place the dough on a floured surface, pull the sides underneath so it’s in the shape of an oblong roll, and place it in a greased bread pan. After sprinkling a little flour on top, cover the pan with a towel and let it sit several hours until the dough has risen to the top of the pan. Be careful not to let it overflow. Time will vary depending on the air temperature and sometimes can be helped along with the aid of a warm oven. Once risen, score the top of the loaf lengthwise with a serrated knife and place in the oven for 30 minutes on 400 degrees. Once complete, allow it to cool for about five minutes before placing on a cooling rack to cool completely. I’ve damage many a loaf by cutting it while it’s still hot but I don’t feel too bad about that. The result is an amazing loaf of sandwich bread that can last quite a while in the refrigerator. So those are my five favorite recipes thus far with my sourdough starter. Given that I keep my starter in the refrigerator except for when I’m about to use it, it works perfectly to make one recipe each week, typically bread with a few other treats sprinkled in there. If you have a favorite recipe that you’ve made with your starter, please leave us a comment below. Happy baking!